We specialize in helping health care professionals, executives, business owners, retirees and their families enhance their wealth, receive lifetime income they can trust and protect the people they cherish. Growing, preserving and protecting your wealth are our fundamental priorities. We provide answers to your most important financial questions. Will your retirement income be enough to maintain your current lifestyle? Is your estate protected for future generations? Will your wealth last for your lifetime and the lives of those you love and cherish? Now, more than ever, you deserve a relationship built on a commitment to serve you. 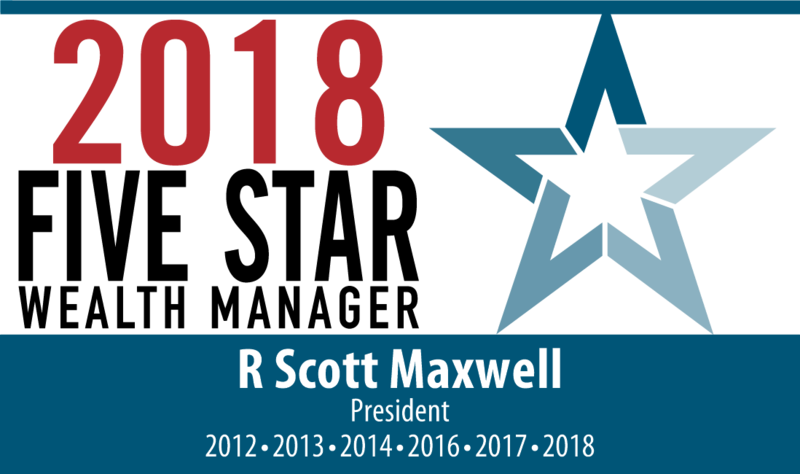 R Scott Maxwell Financial empowers our clients with clear, straight forward answers to their most complex challenges. We help you discover what matters most in your life. Together we build a plan that acknowledges where you are today, charts a course for where you want to go and provides guidance throughout your journey. Scott has been routinely interviewed and featured on KXII Fox News 12 Good Day, KTEN NBC Channel 10 morning news and DFW CBS 11 news. Texas Monthly magazine awarded Scott the prestigious 2009, 2011, 2012, 2013, 2014, 2016, 2017 and 2018 Five Star Wealth Manager: Best in Client Satisfaction. A comprehensive, academically-based investment philosophy designed to make your goals possible. We can help you plan and prepare for the unexpected and take care of those you love. Receive a complimentary copy of our e-book. 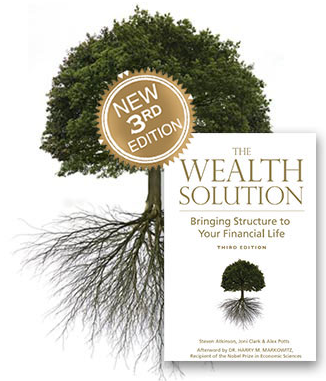 The Wealth Solution: Bringing Structure to Your Financial Life offers a compelling new way to think about your wealth, investing and your financial future.